Transition metal are a bit different because they include the d subshell which has a smaller “n” value. Typically this leads to combining or hybridization of orbitals of various subshells to stabilize the atom. A prime example is vanadium, atomic number 23. The electron configuration would be [Ar] 4s2 3d3 typically. Rewriting the electron configuration in correct numerical sequence: [Ar] 3d3 4s2. 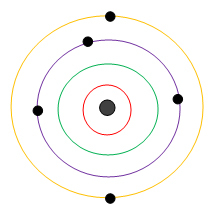 This means that there are 3 electrons in the 3rd shell and 2 electrons in the 4th, or valence shell. Total is 5 electrons. Note on the shell #3, there are 3 electrons which are in the “d” subshell (3d3). Then on the shell #4, there are 2 electrons in the “s” subshell (4s2). Why so much space for so few electrons? This only makes sense if the 3rd shell was already full with 10 electrons, (d can hold up to 10 electrons!) and there was a need to open a 4th shell to hold the remaining 2 electrons. But this is not the case! Opening new shells is done if necessary! 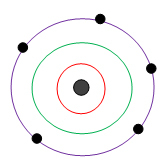 The 3rd shell has a mere 3 electrons, with plenty of more room to hold the remaining 2 electrons for a total of 5. Opening the 4th shell, which is higher in energy, without first filling the 3rd shell, of lower energy, does not make sense when considering energy conservation and stability for the atom. Lower energy is preferred as it stabilizes the atom. The solution is to combine the “d” and “s” subshells to form hybrid orbitals that hold all 5 electrons. The new electron configuration would be [Ar] 3d5. Why do this? It eliminates the 4th shell by combining all 5 electrons into the 3rd. This helps to reduce the energy level of the atom and stabilize it by only using shells that are needed. It is like going to someone’s home and being offered a soda, taking just a sip, then opening another can before finishing the first. It doesn’t make sense because it is wasteful. Same goes for opening a new energy shell when the previous one has not been completely filled.